Education in Britain is compulsory from 5 till 16. The first stage is primary school (5-11). Children start primary school at 5 and continue until they are 11. In primary schools pupils are taught the so-called three “R”: reading, writing and arithmetic. The second stage is secondary school, which children start at 11. Secondary schools are called comprehensive, they are free and take children of all abilities, without entrance exams. There are also grammar schools which take children who pass the 11 plus exams. At 16 pupils take a national exam called GCSE (General Certificate of Secondary Education or “O” level (Ordinary) and they can leave school if they wish and start working. This is the end of compulsory education. Some 16-year-olds continue their studies in the 6th form ( at school or at a sixth-form college). The 6th form prepares pupils for a national exam called “A” level (advanced) at the age of 18. You need “A” level to enter a university. If you don’t enter a university you can go to college of further education to study more practical things such as hairdressing, typing, cooking etc. The third stage is further education at university or college. Universities and colleges of higher education accept students with “A” levels. Most students graduate at 21 or 22 and are given their degree. Generally universities award two kinds of degree: the Bachelor’s degree and the Master’s degree. Altogether in Britain there are about 100 universities. The oldest and the most famous of them are Oxford and Cambridge. In Britain there are also private schools. They are expensive but considered to provide a better education and good job opportunities. Private schools are boarding schools, where the children actually live in the school. The most famous private schools are called “public” schools and they have a long history and traditions. Children from wealthy and aristocratic families often go to the same public schools as their parents and grand parents. The best known of these schools is Eton. The academic year in Britain usually begins in September runs to early July; it has three terms, divided by the Christmas and Easter holidays. In addition all schools have a “half-term” holiday lasting for a few days or a week, in the middle of each term. In Britain education is compulsory, but schooling is not. It means that parents have right to educate their children at home if they wish. But the authorities have no right to enter people’s homes or make routine checks on children’s progress. The responsibility rests on the parents. the first stage is primary education (5-11). There are infant schools (5-7) and junior school (7-11). In primary schools pupils are taught the so-called three “R”: reading, writing and arithmetic. the second stage is secondary education (11- 18) Two last years (6th form) may be spent in a separate sixth-form college, which concentrates on career training. the third stage is further education at university or college. 2. 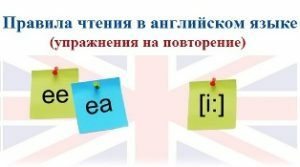 There is the National Curriculum (государственный учебный план), which was introduced in Britain in 1988. It tells pupils what subjects they have to study, what they must learn and when they have to take assessment tests. 3. There are three types of state secondary schools in Britain: 1) grammar schools (for the most intelligent children) 2) modern schools (for less intelligent children) 3) comprehensive schools ( for children of all abilities, without entrance exams) Grammar schools lead towards higher education, the others give general education to prepare students for employment. Проверьте себя, запомнили ли вы новые слова: stage, grammar school, national exam, General certificate of secondary education, further education, to accept, to graduate from, to provide education, private school, boarding school, public school, assessment. This entry was posted in School and tagged School.